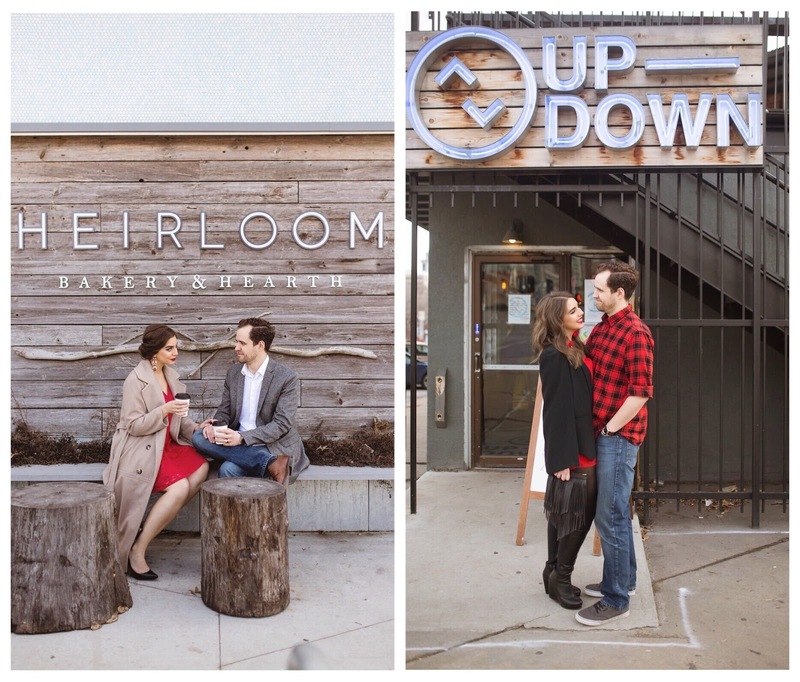 We started our date day at an amazing Kansas City bakery - Heirloom Bakery & Hearth. My friend Hillary suggested we check it out because of their amazing lighting (thanks to some perfectly placed skylights) and delicious bakery items and lattes. We were not disappointed. 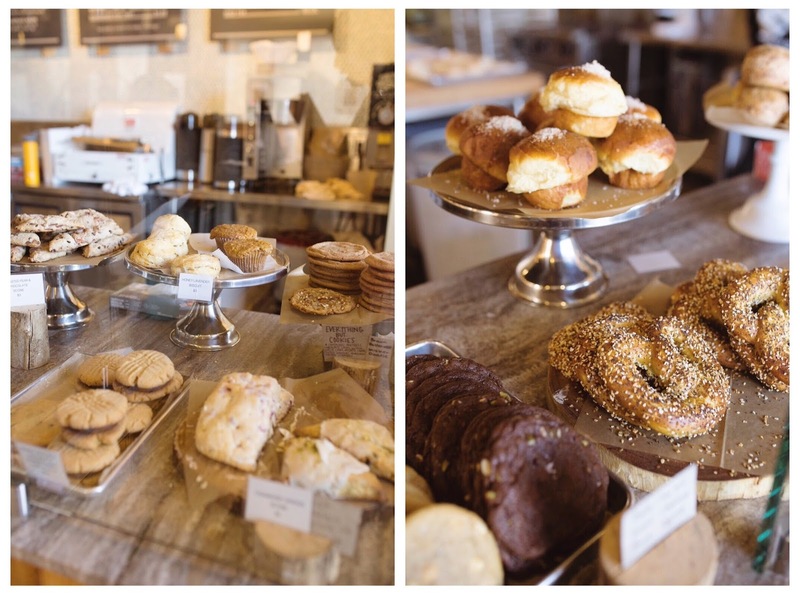 Heirloom has a variety of freshly made bakery items during their regular business hours. I got a raspberry chocolate cheesecake bar and rosemary honey latte and Corey got a lemon cheesecake bar and regular latte! Tuesday through Sunday during select hours they also have made-to order breakfast items as well! We were there outside of those hours but are looking forward to trying their breakfast in the future! One other neat thing is that Heirloom has a baking schedule on their website so you know what items they have on what days! We had so many amazing pictures from our visit that I plan on doing a standalone post just about Heirloom Bakery & Hearth soon so stay tuned! One of the best things to do when in Brookside is to window shop (and giggle a little bit)! The first window (and totally Valentine's Day photo-op worthy) was at A Store Named Stuff! The window was filled to the brim with Big Love Balls which, as their name suggests, are giant balls with love written on them! I was smitten. We also stumbled across a lovely store appropriately named Shop Beautiful! I didn't know this when we visited, but Shop Beautiful is the oldest gift shop in Kansas City and has been in business since 1936! Isn't that incredible? Shop Beautiful has a "beautiful" assortment of gifts, jewelry, home decor items in their newly renovated Brookside shop and also offers gift wrapping services! It was so lovely to stop by and a great place to end our Brookside date! When it comes to where you'll typically find us on date night, nine times out of ten it's the crossroads. The reason I titled this section "Evening" and not "After Dark" is because of this amazingly sweet mural in the crossroads! Located outside of Fortuity Boutique at 1919 Baltimore Ave, This Insta-perfect wall is one of the most popular places to snap a pic with your sweetie (especially on Valentine's Day)! Make sure to go before it gets dark for optimal photo conditions. You'll want to bring either a tripod or another couple to snap your pic so that you can get all that lovely in frame! Our next stop is conveniently just around the corner from this adorable mural and is one of our VERY FAVORITE places in Kansas City. We go there on date nights, with co-workers, for birthdays, or to just liven up a weeknight. This place? Up-Down. Up-Down is nostalgia central for anyone who grew up playing video games or going to arcades. Whatever kind of games you like, they've got 'em. Old school arcade style? Yup. Rail shooters? You know it. Racing arcade machines? Absolutely! Ten-player arcade strategy games? Uh, yeah. They even have an N64 for playing Super Smash Brothers and Mario Kart! During the warmer months, they also have blow up projection screens outside for even more Nintendo nostalgia. Even if video games aren't your thing, Up-Down also has all the other arcade classics like pinball and skee-ball. During certain times of the year they even have a skee-ball league you can sign up for! One of my favorite parts about Up-Down is their outdoor patio area. It's filled with giant-sized games like Jenga and Connect 4 and is perfect for those warm and breezy Missouri nights. Did I mention Up-Down is a barcade? They have over 50 beers on tap plus bottles and cans AND super creative awesome 80s and 90s themed cocktails (including Surge cocktails). It's basically perfect. 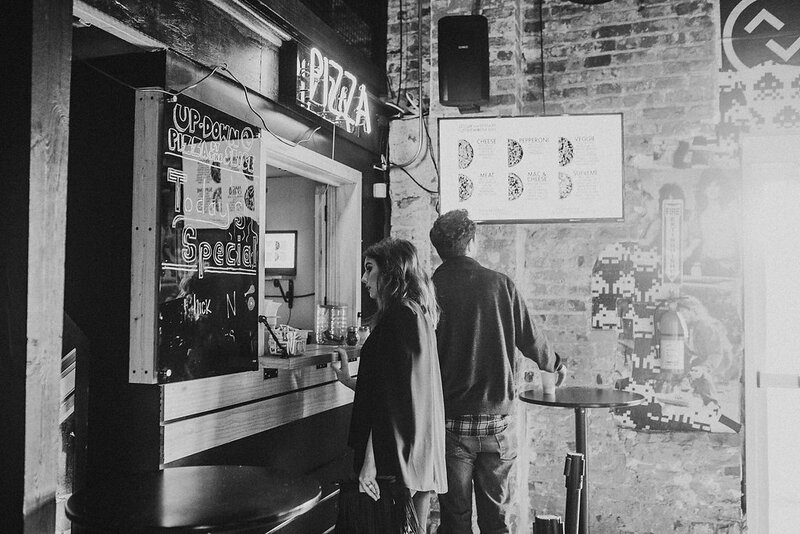 They also have an in-house pizza kitchen to satisfy any dinner or late-night cravings! 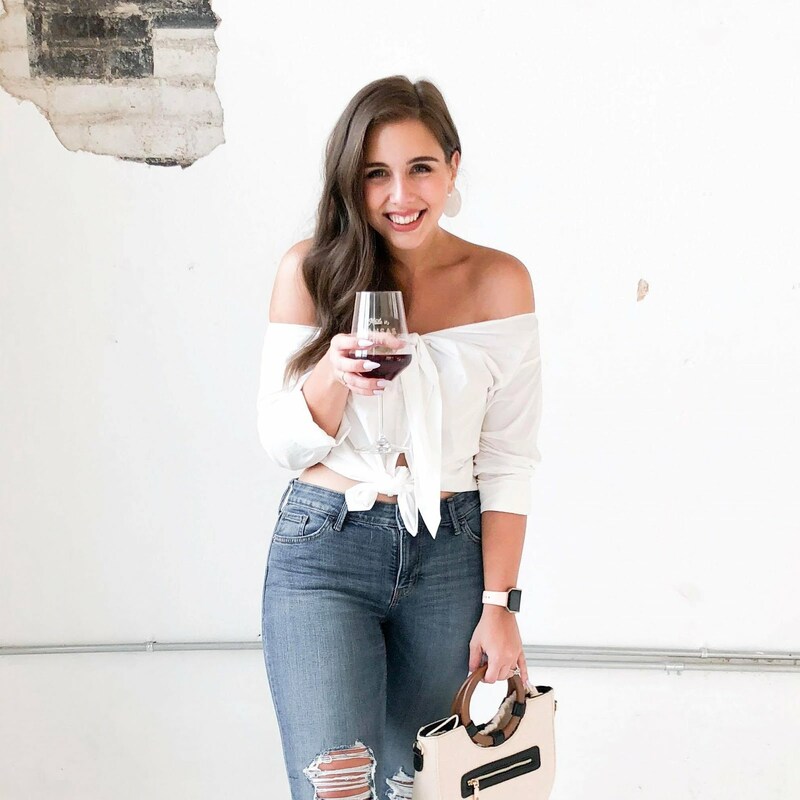 Whether you're looking for a nice weekend day-date or a competition-filled evening out, Kansas City has a lot to offer. Where are you favorite date spots? Trying anything new this Valentine's Day? I'd love to hear about it in the comments! 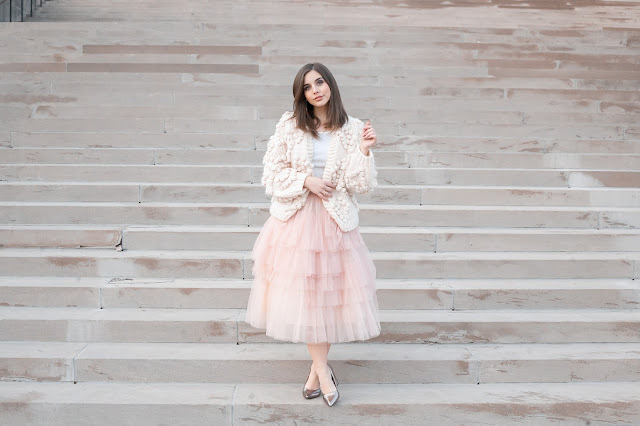 Also, make sure to check out my Valentine's Day outfit post coming tomorrow!